I’ve always been a fan of a nice scotch egg, you can’t beat them – tasty sausage meat, a rich soft yolk and crunchy breadcrumbs, they’re a belter of a snack. 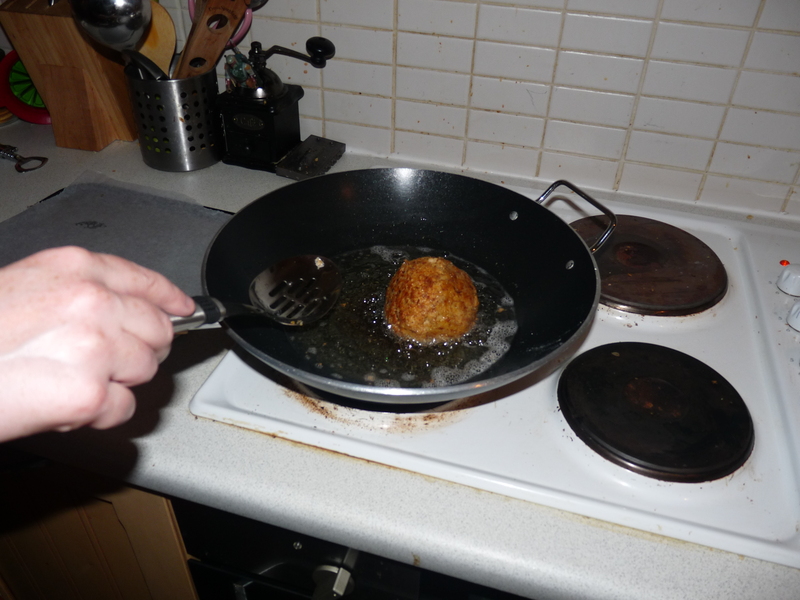 So a few years ago when I took a wander down to the Manchester Christmas Markets and stumbled across a stall selling a Manchester Egg I simply had to give it a go. 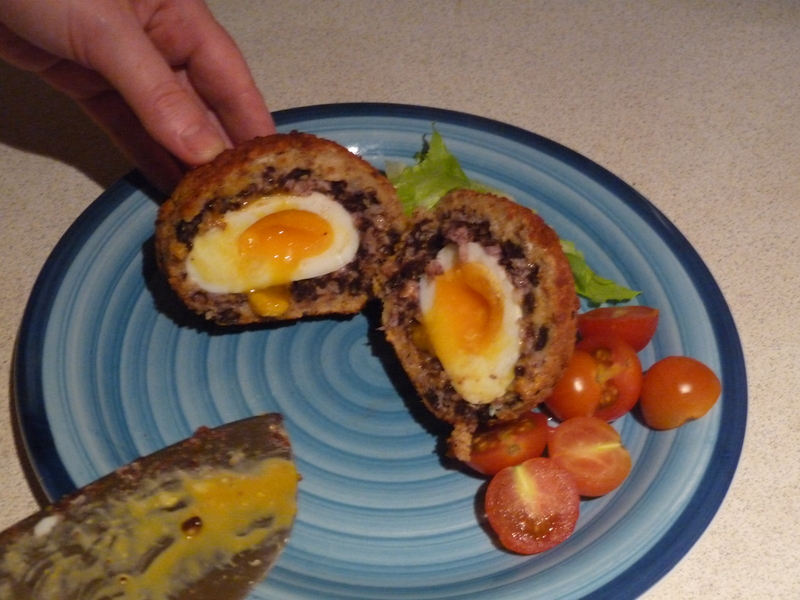 Everything you could want from a Scotch egg with the added bonus of black pudding. I’ve been trying to perfect mine ever since. 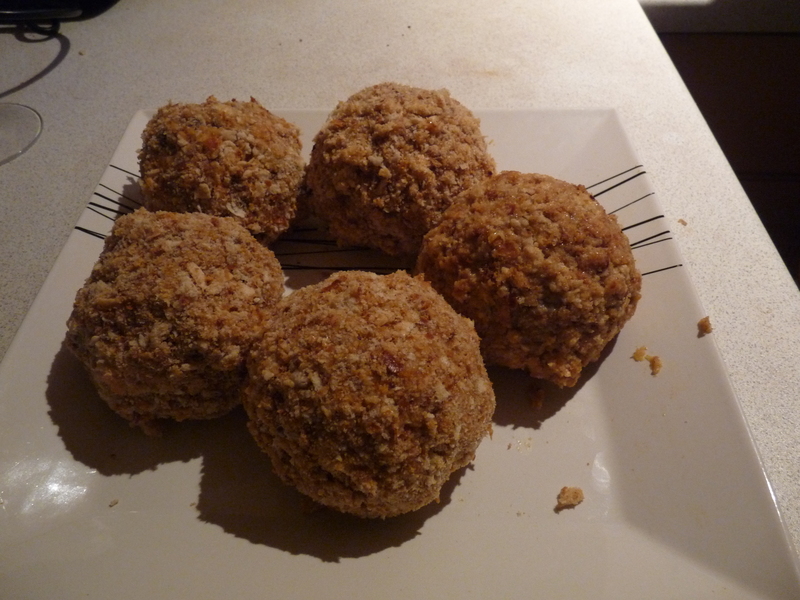 After a stint making them in my good friends pub kitchen I managed to come pretty close to the real thing…. So here’s my most recent take on the infamous Manchester Egg. 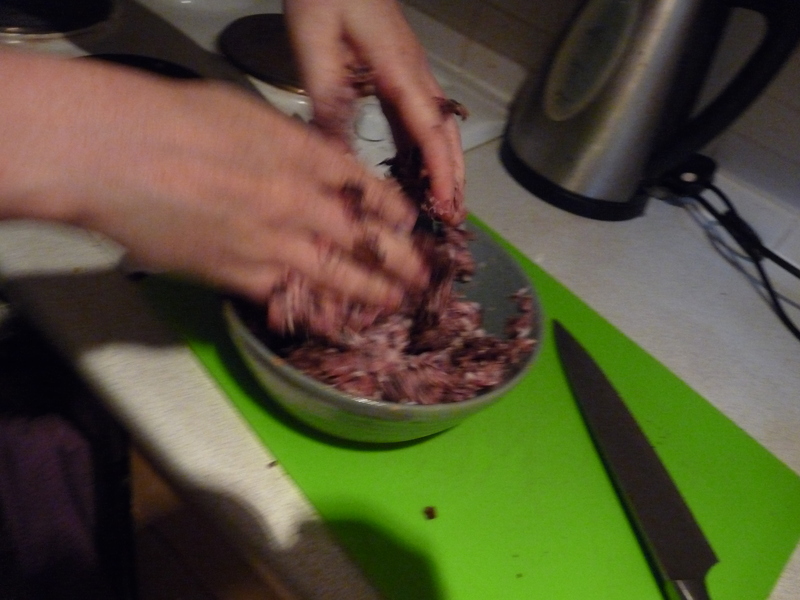 Start off by chopping your black pudding and adding your sausage meat, thyme and paprika together. Really get your mitts in there and smoosh them all together. Put your eggs onto boil – I cook mine for 5 mins on a rolling boil so they turn out with a soft centre, but that’s just my personal preference. 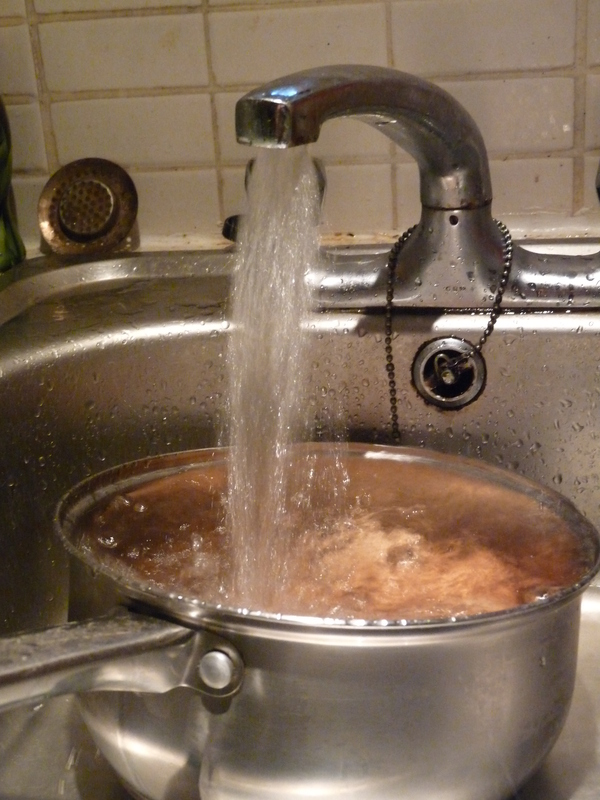 Once the 5 mins are up make sure you run the eggs under cold water or they’ll carry on cooking. Once they are cool you can get them peeled, be careful though they’ll be a bit delicate. Add them to the beginning of your “egg assembly line” (this will save on mess, trust me). 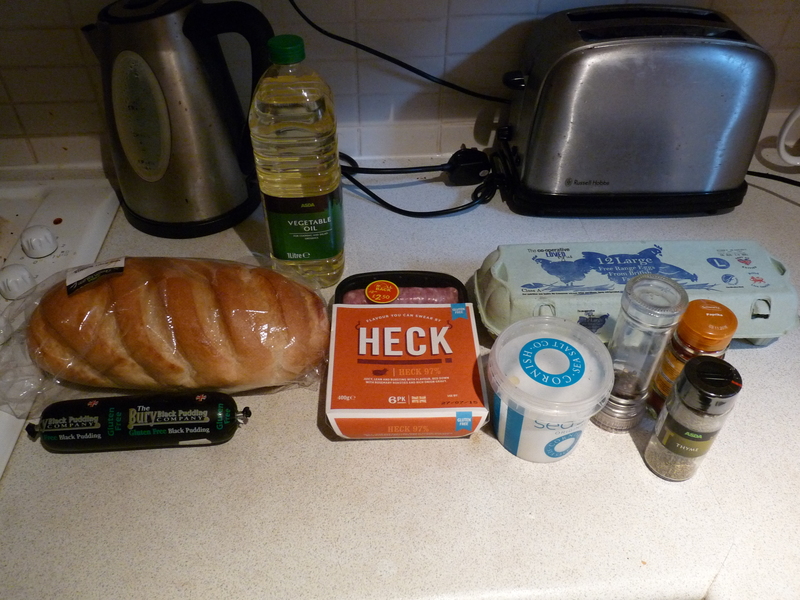 Put your eggs at the start followed by a plate of flour to roll your eggs in (just a thin covering). 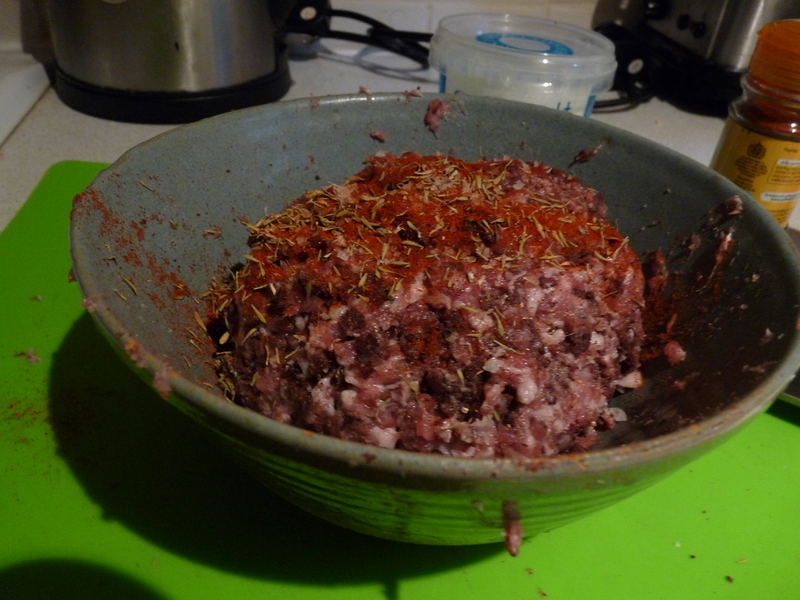 Then your build your sausage/black pudding mix around the egg. Then transfer into your dipping eggs and bread crumbs, really roll them around a double dip to get a nice full covering of breadcrumbs, finished with a storing plate. Once they’re all assembled, lightly fry them until they’re a light brown. 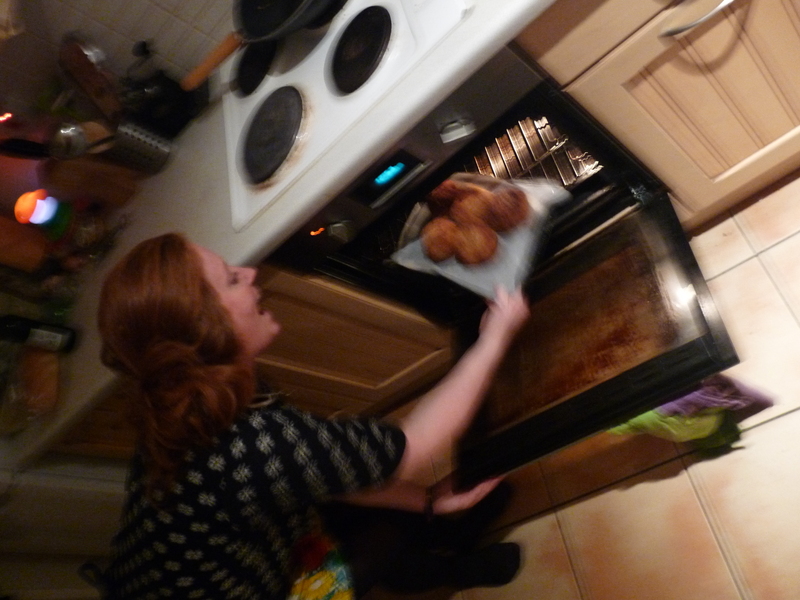 I then pop mine in the oven for 15 mins instead of deep frying them to save a few calories. Once they’re cooked leave them to cool for a couple of minutes, chop them in half and marvel at the beautifulness! In the beginning there were dogs…..